What’s it like working with a real estate agent? When it comes to selling a house, you want to make sure you’ve put your property in the right hands. And, if you’re wondering what the experience of working with a real estate agent will be like, it all comes down to who you choose. It pays to do some research before picking one that really fits your needs and has your best interests in mind. Here’s a rundown of some of the things you can expect a typical real estate agent to do, and how we manage the process at Upside. What does a typical real estate agent do? Determining your property’s market value and how much you want to ask for can have a big impact on the entire sales process. Real estate agents create a comparative market analysis (CMA) that takes into consideration the value of comparable homes nearby that are currently on the market, waiting to be sold, or have recently sold. This gives you information about what people are willing to pay for homes that are similar to yours, so that you can set a competitive price. When you work with one of our agents at Upside, you can arrange a time for a home visit to give you an in-person estimate of your property’s value free of charge. Or, if you’re thinking about selling but don’t’ want to commit to anyone just yet, you can also get a free online property estimate and follow it up with an appraisal later on if you wish. First impressions count, and one of the most important stages in selling your home is presenting it in its best light. 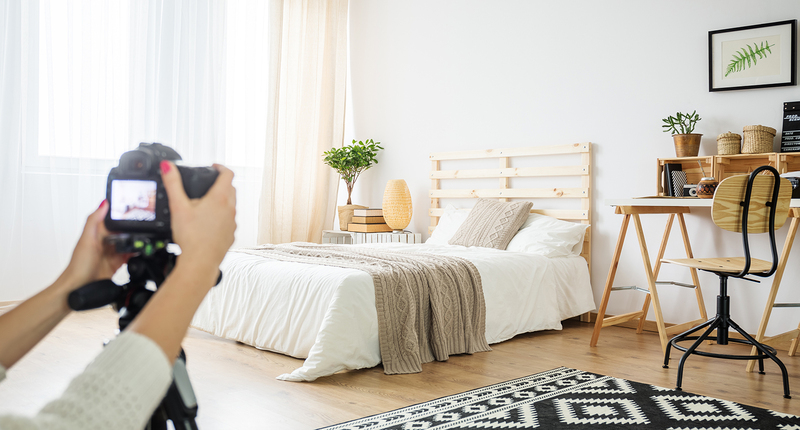 Depending on the services offered to you by the agency you choose, you’ll likely have the option of having a professional style your home or offer insights into how to make your home look great, followed by professional photography that really showcases your home’s best features. Styling and photography are part of our all-inclusive fee here at Upside. Our professional stylist can consult with you to give you room-by-room advice on the best way to maximise your property’s potential. Once you’ve completed styling, your home will be professionally photographed. Professional photography to showcase your home's best features. At Upside, this is part of our all-inclusive fee. Of course, your home isn’t likely to sell unless people know it’s actually for sale – and that’s where marketing comes in. Usually, real estate agents will create marketing materials like signboards, printed brochures, flyers, and online listings to get your property in front of as many interested people as possible. At Upside, our professional real estate copywriters and agents work together to create your brochures, photo signboard and online campaign to be published on Domain.com.au and Realestate.com.au. You have full approval of the marketing material and can launch the marketing campaign online yourself if preferred. As with all our services, the marketing campaign is included in our flat management fee. Whenever someone shows interest in your property, it’s your real estate agent’s job to liaise with potential buyers, arrange open-home inspections and communicate offers to you. Upside real estate agents send reminders with checklists, tips, and tricks to help you keep your property looking its best during showings. Our online platform also gives sellers a real-time view of buyer interest, enquiries, and offers. And, if you’re selling by auction, our agents will organise the auction and book in a professional auctioneer to run the auction. Once you decide to accept an offer, your agent should be there to negotiate terms with the buyer and ensure you get the best deal possible. They should also guide you through all of the paperwork and steps that need to be completed in the closing process to officially hand over your keys to the new owner. Once your property has been sold with Upside, we’ll finalise all the paperwork and pass it to the conveyancers. And, unlike some other agencies, we also offer ongoing support right through to settlement, the final inspection, and the key exchange. Ready to get the ball rolling? Book a free, no-obligation property appraisal with one of our agents, or get a free online property value estimate.